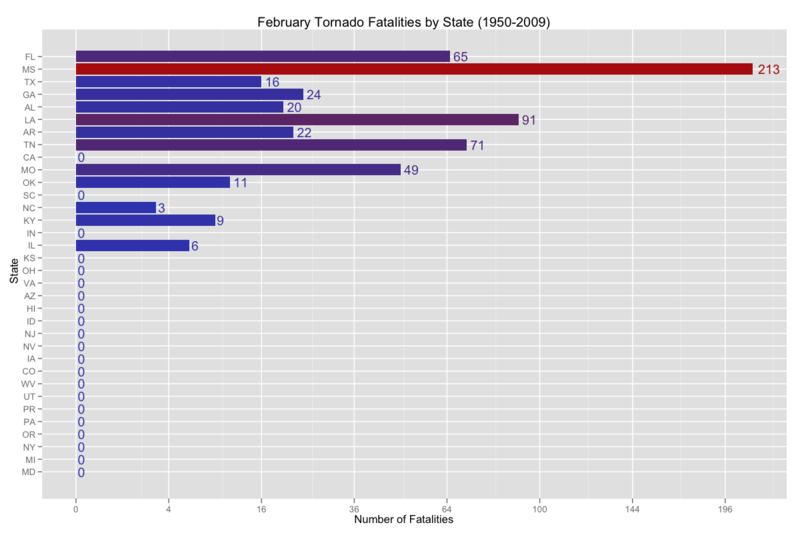 Since I forgot to post a this week due to continued winter weather, and because the snow battered center of the United States has begun its long awaited warm-up, I thought I’d go ahead and share the statistics and figures relating to February tornadoes. 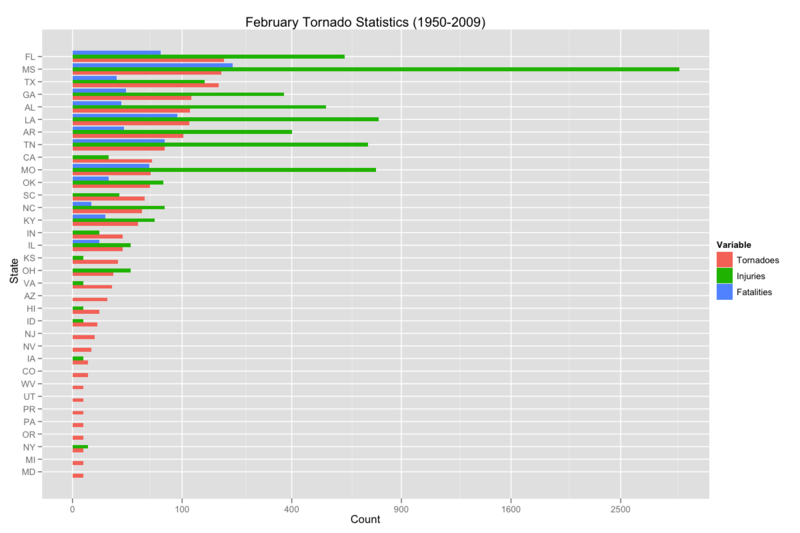 The plots and statistics are similar to those I computed for January that can be found in posts here and here. 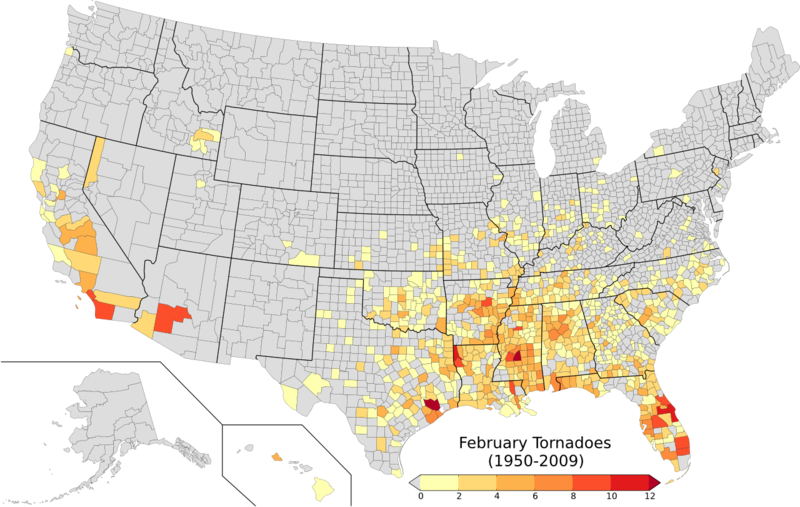 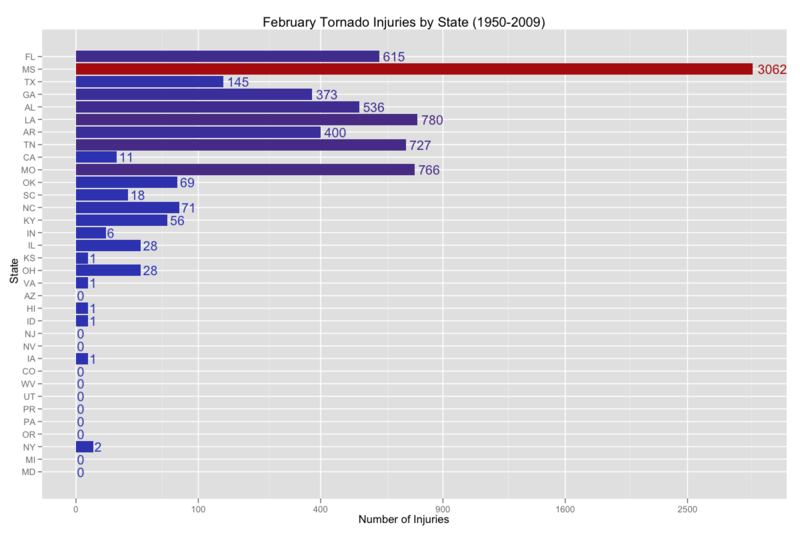 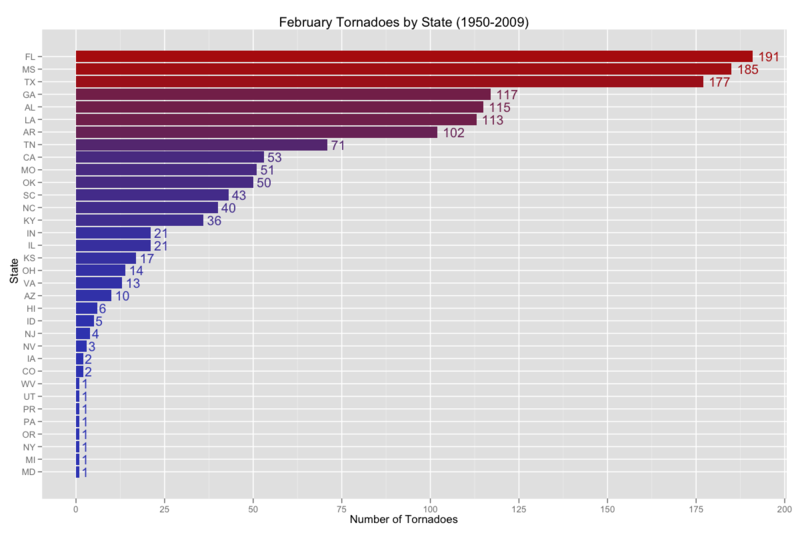 Above is a figure depicting the number of February tornadoes per county for the years 1950 to 2009. 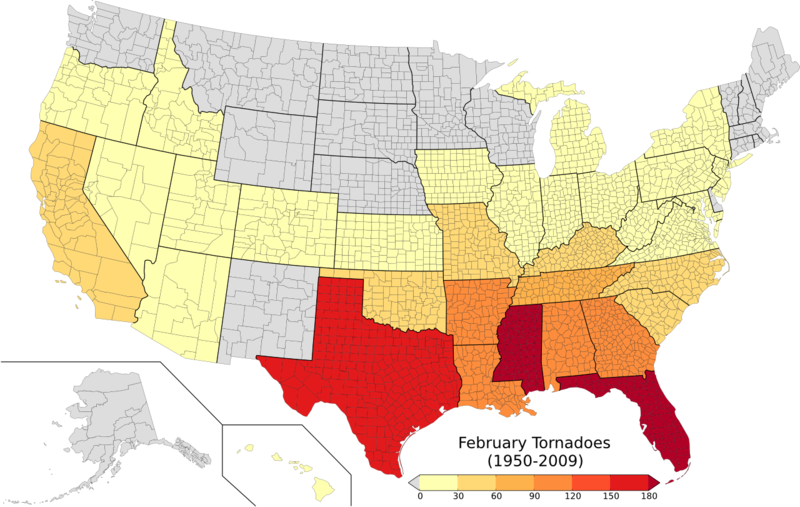 Most tornadoes tend to occur in the southeast United States, however tornadoes have been reported as far west as California and Hawaii, and as far north as Oregon and western New York!